You can throw them in smoothies for added protein, make Almond Milk, or just munch on them. I like eating them soaked versus raw because they are more “plump” from being soaked, so I find that I enjoy the texture and flavor more so this way. I also find that soaked almonds can thicken a curry (when ya puré them) and also salad dressings. Just like making almond milk from scratch, you need to change the water everyday. After 48 hrs of soaking, the almonds are reading to be eaten and fully plump. I keep mine in the refrigerator for soaking and if I don’t finish them after the 5th day, I throw them out. I’ve been told that they no longer good after 5 days….not sure what happens after this magical 5th day but figure that that time frame is basically a week so….it’s fine by me if I have not eaten them by then to toss and start a fresh batch. 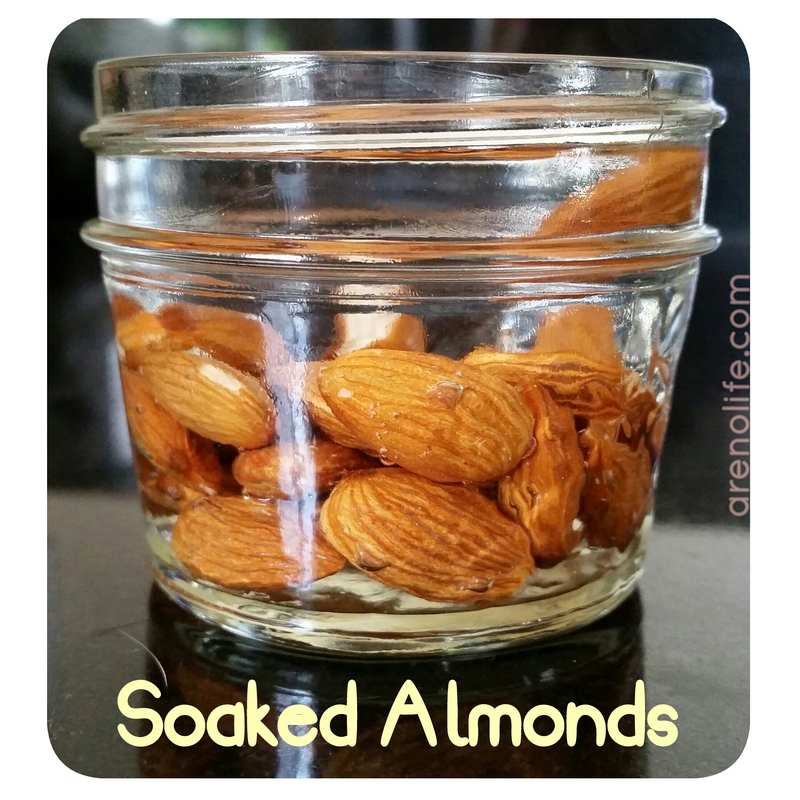 – 2/3 water to make sure the almonds are covered and have room to expand from the water.